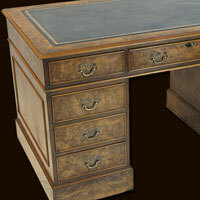 Quality range of locally crafted reproduction office furniture including "design your own" reproduction burr walnut, mahogany and yew pedestal desks, matching filing cabinets and leather swivel chairs. 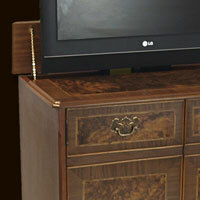 Comprehensive range of oak, burr walnut, mahogany and yew reproduction TV cabinets and stands.. Bespoke cabinets can be supplied - please ask for a quotation. 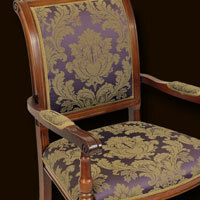 Superb range of mix and match reproduction Regency dining tables and chairs. 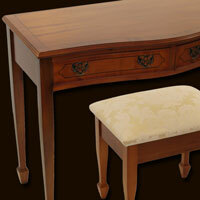 All tables can be made to suit and then matched to your choice of chair. 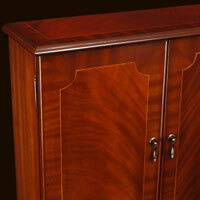 Available in mahogany, yew and bespoke. 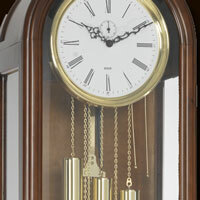 A superb range of reproduction display cabinets to choose from with many choices to make regarding woods, colours and glazing options. 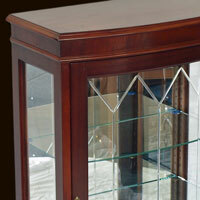 A full range of reproduction bookcases on offer to suit any room. 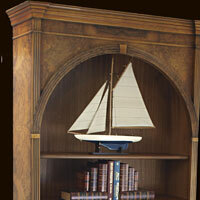 Open bookcases, revolving bookcases and combination bookcases in mahogany and yew woods. Bespoke bookcases available. 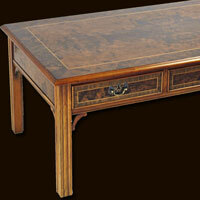 Elegant reproduction bedroom range features some of our most well crafted serpentine furniture. 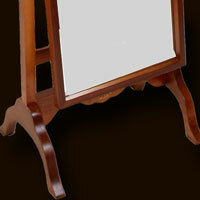 Available a full set including matching chests, wardrobes, dressing tables and headboards in yew and mahogany. 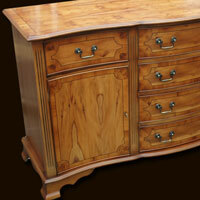 Large choice of well made reproduction chests of drawers including both flat and serpentine fronted items. 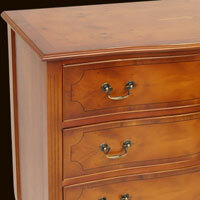 All chests are made with the most attractive veneers and traditional dovetail joints. 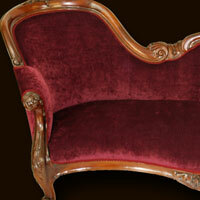 Classic reproduction upholstered chairs as well as reproduction chesterfield leather sofas and wing back chairs. 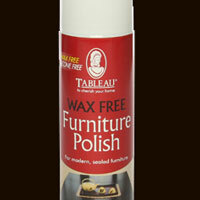 Wax & silicon free polish and professional grade repair kits.